A fast-paced political thriller rather than a travel tale, On the Java Ridge explores the humanity behind Australia’s draconian border policies. 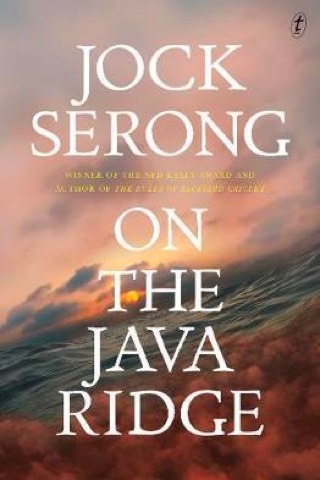 Author Jock Serong deftly weaves three story strands together. One is set in Australia’s capital Canberra as a national election looms, and two are set on water: a boat with adventuring Australians chasing waves in remote east Indonesia, and a sabotaged boat full of asylum-seekers from various war-torn countries heading to Australia. Australia has just announced tough new border policies ahead of the election, and outsources the dealing of boats encroaching on its waters to the private sector. Meanwhile, tensions are rising on the Australian surf boat as one of the customers insists on surfing at an uninhabited island, while the asylum-seekers’ boat runs into serious difficulties in Indonesian waters as a huge storm hits. Boats provide a usefully restrictive setting for the illumination of flawed characters and distillation of ideas, and Serong dials this up thanks to his taut, beautiful writing, and great sense of pace and timing. While the focus of the story is very much Australia’s terrible and secretive policies towards those legally seeking asylum, tucked into the pages is Serong’s evocative descriptions of ocean and surf. This is probably the best writing we’ve come across about waves since Barbarian Days. It’s refreshing to see Bali relegated to just a bit of background in a story that takes place elsewhere in Indonesia; the descriptions of eastern islands are refreshing and interesting. More importantly though, it’s heartening to see the issue of Australia’s treatment of asylum-seekers covered in a novel of substance. The form allows for the humanity of the people affected by Australian policies to be explored in more detail than a journalistic piece can permit. Such a story also highlights the speed at which the world is becoming smaller and our tragedies impact on each other. Read this book for its descriptions of the Indonesian archipelago, not often seen in Australian literature. But also read it as an important story for our times, highlighting as it does that while we, the rich and fortunate, explore the world for fun and enlightenment, others must flee their homes simply for safety. Are we doing enough to ensure that this safety exists?